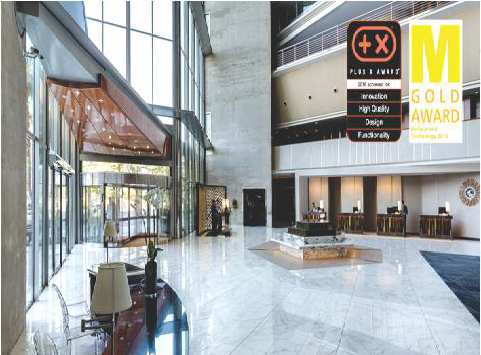 Neolith Polished finish has received the prestigious Plus X Award seal of approval for Innovation, High Quality, Design and Functionality. Neolith was also awarded with the MATERIALICA Design + Technology Gold Award Certificate in the Surface & Technology category. Both prizes recognize the aesthetic properties of the finish such as the perfectly linear reflection (very uncommon in ceramics industry). Neolith Polished finish presents a high level of depth, realism and sophistication on the surface.